This podcast is a love letter to India from Canada, will you read it? Canadian Consulate is set to launch the first season of the podcast 'The Canada in India Show'. Here's what you can expect. New Delhi/Mumbai: Justin Bieber, maple syrup and ice hockey are just a few things that make Canada one of the popular destinations in many Indian itineraries. Now, the Consulate General of Canada in Mumbai is all set to cement the Indo-Canadian relationship with the first season of its podcast The Canada in India Show. The show will be available across Apple Podcasts, Spotify, TuneIn, Stitcher, and your favourite podcasting applications as well as the official podcast page at Libsyn. 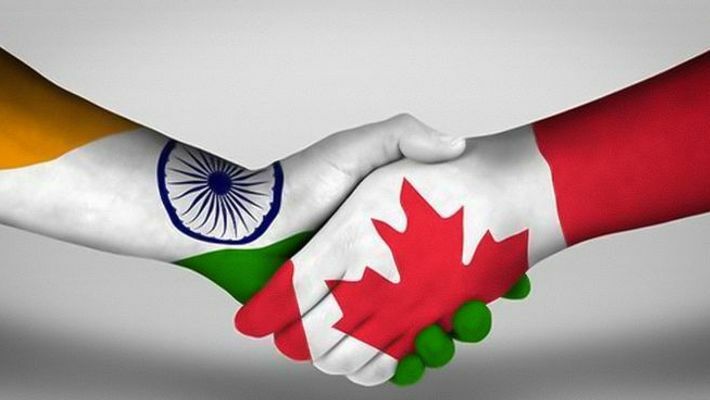 Canada and India have had a long, rich history of collaboration and cultural exchange. Canada's Consul General, Annie Dubé was eager to share some of the synergies between the two nations through this podcast channel. Her motivation to make this show a reality comes from the growing Canada-India relationship. “I was keen to share the stories behind some of the diverse and remarkable people who make up the close relationship between both countries. The friendship between Canada and India is bolstered by strong people-to-people and cultural ties, and a long history of cooperation in a wide range of areas. We want to communicate its diversity, depth and dynamism differently. As you listen to each episode I think you will find there is one thing tying it all together - the passion we share for both countries. Subscribe to the podcast and join me every Wednesday to discover some exciting stories on The Canada in India Show”, said Annie Dubé. This initiative is meant to give listeners a new perspective of the relationship through each episode. Interviewees will include both Canadians and Indians interested in the bilateral relationship and in the issues that we are jointly working on in both countries. They include key influencers and decision makers across the various sectors of trade (CEOs, start-up companies, etc. ), Govt. authorities, media, advocacy and change makers, youth influencers, think tanks, and universities. Some of the speakers in this season include Sir Terry Matthews, Ashok Row Kavi, Prageeya Khanna, Neera Nundy, Michael Green and many others. Also read: From Modi jackets to patola weaves, is vibrant Gujarat the new fashion capital? The creation of this podcast was supported by Indian podcaster and producer Chhavi Sachdev of Sonologue who collaborated with the Consulate team in understanding the medium of the podcast as well as the nuances of podcasting in India. The first episode of season one of The Canada in India Show will be released this evening (10th April), and one new episode will be released every Wednesday thereafter until June 26.